Based in Central London, the Condé Nast College of Fashion & Design operates from the heart of one of the world’s most exciting fashion capitals. The Condé Nast College is an important starting point for those who want to be tomorrow’s stars of the fashion industry. With outstanding resources, leading-edge facilities and access to experts from the worlds of fashion, style and luxury, the College prepares its students to work in all areas of this exciting and innovative industry. We currently offer three courses, the four-week Vogue Intensive Summer Course, the ten-week Vogue Fashion Certificate and the year-long Vogue Fashion Foundation Diploma. We are now accepting applications and look forward to welcoming you to the Condé Nast family. 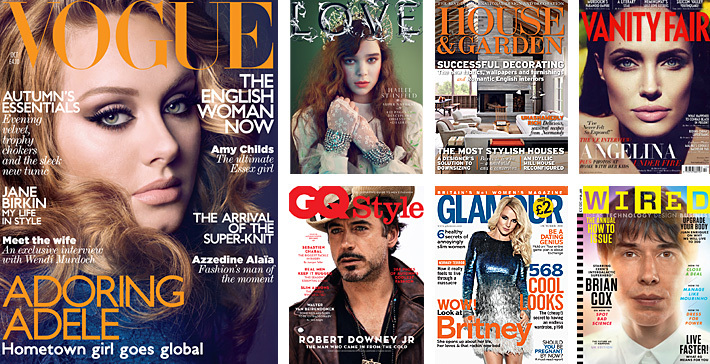 Under the project, Condé Nast publications will team up with universities to create a set of accredited certificate programs and eventually master’s-degree programs with the colleges and universities, not the magazines, as the “institution.” Condé Nast writers and editors will contribute subject matter expertise and the publisher will provide some financial backing to the partnerships.The institutions and new academic programs which will include both interactive online content and in-person elements have not yet been identified, but discussions with universities are under way with the goal of launching the first programs in fall 2015. An interesting development. One can only imagine all the potential academic programme tie-ins with the impressive stable of publications. But, whilst the funders are protesting (perhaps a little too much?) that they’re not really like all the “pure disruptors”, they still don’t seem to have any university partners on board. It’s early days no doubt.